A referendum relating to the adoption of Whitchurch Village Neighbourhood Plan will be held on Thursday 16 November 2016. 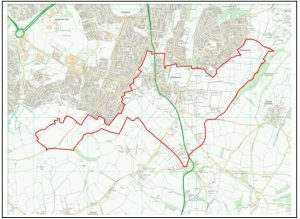 The referendum area is identical to the area which has been designated as the Whitchurch Village Neighbourhood Plan Area, and is identified on the map included with this information statement. The referendum expenses limit is £2,427.37. The number of persons entitled to vote in the referendum by reference to which that limit has been calculated is 1,108. A map of the Whitchurch Village Neighbourhood Plan area.